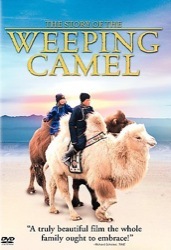 A quasi-documentary about a family of camel shepherds in Mongolia. The family almost loses a rare white camel colt because its mother rejects it and won’t nurse the calf. 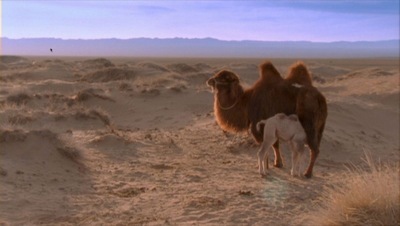 Mom and child are re-united by means of a special ritual conducted by a local violin player who serenades the mother camel. Music cures what ails her. Mother camel weeps on film as she finally suckles her newborn colt. Yeah, it’s odd and unusually haunting. The story is held together by the family’s youngest boy. 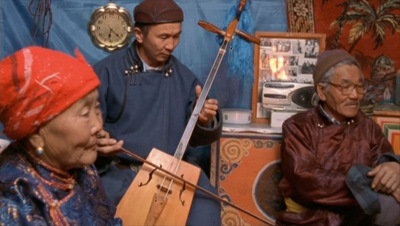 This unique film is as minimal as the desert, as melancholy as the sweetest nomad ballad, and as authentically detailed as hand-woven carpet. It is a really fine carpet.